Bath made it back to back wins in their quest for a playoff spot as they dismantled Sale at The Rec. Todd Blackadder’s side were untroubled by the visiting side from the North West under the lights after three ties saw off the Sharks in the opening Premiership match of round six. Matt Banahan, Kahn Fotuali’i and Kane Palma Newport all crossed the whitewash with Will Addison’s penalty the only points Sale could muster as they failed to register a single score in the second half. George Ford once again has surely cemented his place as England first choice out half after three conversions and as many penalties respectively. Newcastle made it an impressive three wins this season as they heaped more misery on Bristol at Kingston Park. However, the Falcons made hard work of it in the second half failing to score and gave Bristol a real chance despite leading 19-0 at the break. John Fisher and Mitch Eadie had given the away side real hope but Andy Robinson’s side had to settle for a losing bonus point. Luckily for Dean Richards side, Juan Pablo Socino, Will Welch and Joel Hodgson’s scores were the crucial difference on an afternoon that could well have turned out differently. Leicester bounced back with a victory after defeat to Sale last week with a healthy win of Worcester on Saturday afternoon. The Tigers who had returned to Welford Road smarting from a four-point loss to the Sharks in round five knew that a big performance against the Warriors who had achieved a vital win against Newcastle in the week previous. Leicester had the game essentially wrapped up after going into half time with a 20-0 lead after Tom Brady and Telusa Veaniu had went over. Jaba Bregvadze scored the visiting teams only try, as Ryan Lamb attempted to ease the damage with the boot. However stalwarts Billy Vunipola and Graham Kitchener’s scores wrapped up a Leicester win as once again Owen Williams make an impression off the kicking tee. Harlequins registered a fine victory in a game with just a single try as Northampton suffered yet another bad day at the office. Alofa Alofa scored the only try of the match as the kickers become the stars of the show. Tim Swiel’s twelve points saw Quins over the line along with a single successful penalty from Nick Evans. Stephen Myler dissected the sticks with three of his own, but it was nowhere near enough as the Saints were condemned to a very poor fourth defeat of the Premiership campaign. A late try from Damien Welch gave Exeter a share of the spoils against Gloucester at Sandy Park. It was bad news for David Humphreys side as yet again a late score provided the cherry and whites from taking four points. Gloucester lead by three points at half time with Exeter firmly breathing down their necks. A who’s who of rugby stars were on the scoresheet, Thomas Waldrom and Ian Whitten got tries along with Matthew Scott, Ben Morgan and Charlie Sharples for the visitors including kicks from Greig Laidlaw and Billy Twelvetrees. Gareth Steenson could have won it for Exeter with the final kick of the match following the late try, but pulled his conversion wide to the dismay of the Chiefs faithful. Saracens returned to the summit of the Premiership as they left Wasps perfect record in tatters in a complete performance at Allianz Park. Wasps run finally came to an end after tries from Mako Vunipola, Mike Ellery and a brace from an inform Jamie George saw Sarries open up a two-point gap at the top of the table. Josh Bassett scored the only try for Dai Young’s side as the visitors were stemmed by the Saracens defense, a frustrating eighty minutes for the travelling fans who had been used to seeing their side run over opposition all season. Jimmy Gopperth only managed nine points from the boot too on a day that firmly belonged to Mark McCall’s men. Newcastle – Despite an incredibly poor second half against Bristol, Newcastle now have three wins this season, a highly impressive statistic considering just six rounds have been played. To put it into context, the Falcons only managed five Premiership victories in the 2015-16 campaign tallying up twenty-seven points. At the current rate, they look very likely to surpass that as the fears of any sort of bottom two finish seem to be alleviating. 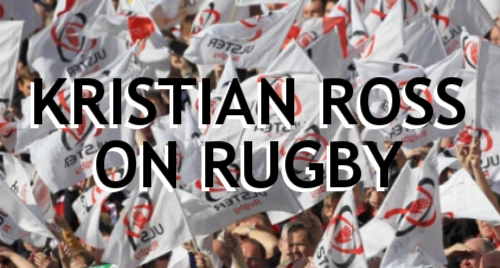 Saracens – A huge potential banana skin for Saracens, but they were superb against Wasps on Sunday afternoon. Not only did the win send Sarries back to the top of the table, it outlined that on their day they can beat anyone and most importantly sent a message to the rest of the league that Wasps are beatable after all. Harlequins – A topsy turvy season it has been for Quins but a win over Northampton got them moving back in the right direction after slipping to eleventh. It’s still not perfect, but a sigh of relief around The Stoop may have been heard this weekend. Still far too much quality to be dragged into any kind of mire. Northampton – Six rounds in, call it premature, but it looks like Northampton are well and truly trying to blow any chance of a top four spot after yet another defeat this season. That makes it four losses with just two wins from Jim Mallinder’s men since the big kick off last month and perhaps it’s starting to really highlight a few issues for the Saints. Gloucester – Harsh it may be that Gloucester have made the losers column this week, but David Humphrey’s has talked about how his side have blown far too many chances at winning games over the last two years and once again that’s exactly what they did this weekend. Failing to hold on cost the cherry and whites a second win of the season and whilst it may not have been defeat, a case of de javu was prominent as the demons of the Leicester game at the start of the campaign came back to haunt them. Wasps – Wasps are still in a very healthy position despite this week’s loss to Saracens, but it was an unusual display from a side that many had got used to winning. Finally, they were shown to be human, but not many tries or even points from the boot highlighted a bad day from the Coventry based outfit. However you’d still put your money on them winning next weekend.